Unless you’ve been hiding in a sealed bunker, you’ve probably heard that digital video streaming services are now available locally. These services have freed people from being tied to cable TV show schedules or tediously torrenting video files. Instead, you can now watch a huge selection of shows and movies anytime you want on demand. Leading the pack among these streaming services is Netflix who became a household name when it produced and released the ongoing House of Cards in 2013. It was a pretty bold move at the time considering that shows had been traditionally produced by TV or cable networks. Netflix also introduced the concept of releasing all the episodes of a show’s season at the same time, giving power to the viewer and taking binge-watching to the next level. 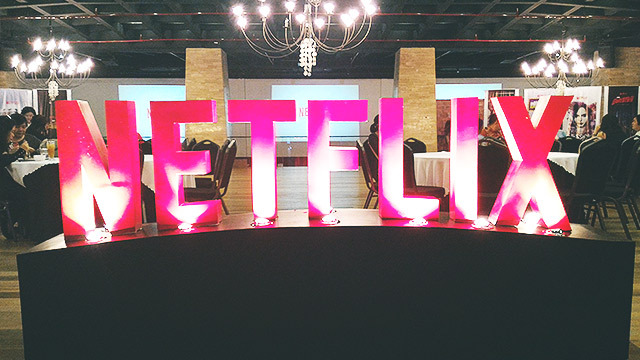 The venue was divided into various themed areas that were headlined by Netflix’s biggest shows such as Daredevil, Narcos, Unbreakable Kimmy Schmidt, and Orange is the New Black. Each area had show-related swag and of course, large screen Full HD and 4K TV sets to fully demonstrate the Netflix viewing experience. Anne Wallin, Netflix Senior Manager and Consumer PR, revealed impressive figures such as 81 million members in 190 countries. These members have collectively watched over 125 million hours of TV shows, feature films, and original series shows. Tiered pricing allows consumers to get a plan for their budget and requirements i.e. standard definition only, HD, and even 4K. Depending on the account type, subscribers can watch on multiple PCs, internet-connected TVs, game consoles, and mobile devices. Several profiles allow users to customize their own viewing list and even apply age-appropriate restrictions to younger viewers. Its streaming technology adapts to the users bandwidth so you can even get HD quality even if you have a basic 3mbps connection. We’ve tried this at home (there’s a free one-month trial if you’re interested) and it works as advertised. We would still be watching if we didn’t have to write this article. Now here’s a rundown of some of the most awaited shows on Netflix. Described as a “family noir drama”, Bloodline tells the story of four siblings of the Rayburn family set in Florida Keys. Through the eyes of one of the brothers, the dark secrets of the Rayburn family slowly unfolds. Created by the director of the food docu hit Jiro Dreams of Sushi, Chef’s Table returns to follow the lives of world famous chefs from Brazil, Mexico, Thailand, Slovenia, and America. A show that’s 10 years in the making according to creator Baz Luhrmann, The Get Down is a dazzling musical drama about the origins and intersection of hip-hop, punk, and disco in New York during the ‘70s. Marvel’s own strongman gets his own show. After being introduced in the mind-bending first season of Jessica Jones, Luke Cage will be punching on his own on the streets of Harlem.